Hope everyone had a sweet Easter, a wonderful Passover, and are enjoying a lovely spring! 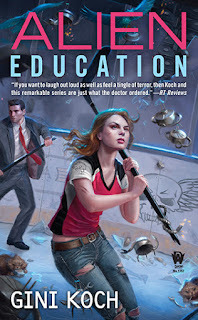 Speaking of spring, Alien Education's not all that far away. In fact, just about, um, a week away! And you know what that means? Yep, it means I'm about to be out and about, and hopefully seeing many of you while doing so! So, be sure to take a look at where I'll be when, so that I can see all y'all there! NOTE: Food With Fans event at 5pm PRIOR to the signing; RSVP to moi directly ASAP if you plan to attend - reservations will be needed! Booth 1167/1169 - right at the Hall 5 entrance! Evening Erotica Event - Day/Time To Come (see what I did there? ), but make your plans to attend NOW! We'll have tons of cool prizes and some cool surprise guests! Next up, see what Larissa's Life had to say about Alien Education! 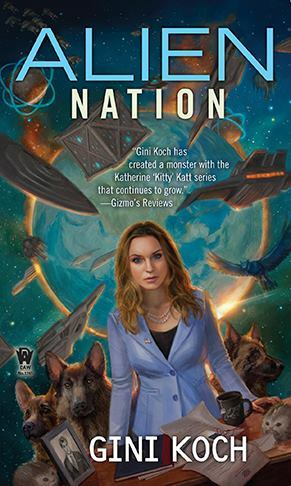 Then check out Alien Nation's Page 69 Test over at The Campaign for the American Reader. Then, awesome author David Lee Summers interviews moi over at Lachesis Publishing. And the Mesa Independent has a cool article about one of my favorite local online booksellers, Bonny Books, and they interviewed moi for the article as well! Question: Have you signed up for the DAW Books Newsletter yet? If not, why not? 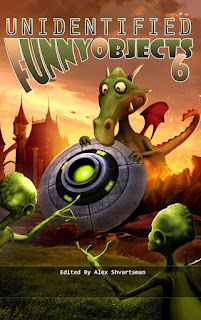 Cool info, contests, and more! Don't delay, JOIN TODAY! We have some Members of the Alien Collective in Very Good Standing who are in need. If you're able to help out, please do so. Joanne Marie de Biasi is in need of a great deal of medical and other assistance. Check out her Go Fund Me page to see if you can help. And Duncan's Books and More (another of my favorite local online booksellers) is looking for help in successfully expanding their online bookstore business. Check out their Go Fund Me page to see if you can help. Guess what's coming in June? 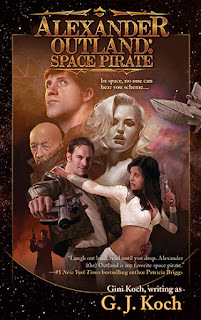 That's right, it's the Mass Market re-release of Alexander Outland: Space Pirate! Pre-order your copies today from your favorite bookstore or online retailer and help ensure we get more of Nap and the Crew of the Sixty-Nine! Are you in Phoenix, Las Vegas, or Albuquerque? Do you want to win stuff? If you said "yes" to both questions, head right over to Slice of SciFi where you can enter to win the King Arthur: Legend of the Sword prize pack and get to see the screening THIS Thursday, April 27th! So, don't delay, head over to Slice RIGHT NOW! 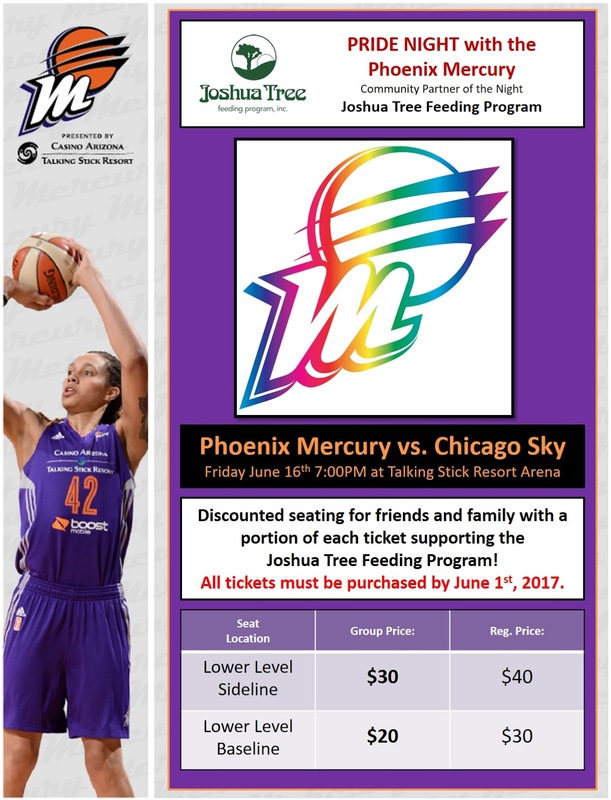 Phoenix Metro Area Peeps - wanna see a Mercury game with moi? Then get your tickets via the Joshua Tree Feeding Program for Friday, June 16. 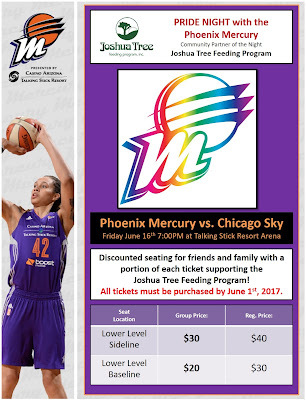 Click THIS link to get your tickets, hang out with me, and support Joshua Tree at the same time! Speaking of fun times, if you're heading to the movies, check out what I thought of The Fate of the Furious over at Pop Culture Geeks! And now for some Science! NASA says (via reporting from the Huffington Post) that one of Saturn's moons could be harboring life! Well, that doesn't surprise any of us, does it? It's a really cool article, so check it out! That's it for today but, as always, more's on the way. Enjoy the rest of your weeks, looking forward to seeing many of you over the next several weeks, and let's be readers out there! Peace out, my li'l gangstas, and I'll catch you on the flip side! Alien Education's not all that far away. In fact, just about a month away. And you know what that means? As my Hook Me Up! subscribers already know, that means it's time for all y'all to hit the Deathless Prose page for the prologue and first chapter, that's what it means! Enjoy the "pre-read" and, while you're at it, please remember to do the other "pre" and pre-order Alien Education (and Aliens Abroad), too, 'cause those pre-orders matter. Know what else matters? Cool Kickstarters getting funded. It's basically the last days of disco for the Unidentified Funny Objects 6 Kickstarter. There's no book if it doesn't fund and, much to my dismay, this one's still got a ways to go to fully make it. So please take a look, check out all the great backer rewards, and help this cool, fun, and funny anthology see the light of day! Remember that I'm going to be all over the place in the coming months, so hit the Datebook early and often to be sure that you don't miss seeing the me! And, while you're at it, check out Newsy Stuff for top headlines, the Bibliography for new (or old) releases you may have missed, Extra Me! for interviews, reviews, and all that jazz, and the Alien Collective Depot for all your cool swag needs! That's it for today but, as always, more's on the way. Enjoy the first week of April and let's be readers out there! Peace out, my li'l gangstas, and I'll catch you on the flip side!